Are Internet Check Scam Artists staging a December Surge? In the past several days, I’ve noticed a surge in counterfeit check alerts from the FDIC (Federal Deposit Insurance Corporation). From December 19th to the 21st, the FDIC issued 26 alerts from various financial institutions throughout the United States reporting counterfeit activity using their information. 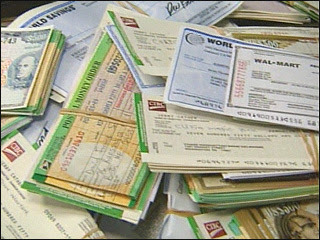 These checks are used in all the different varieties of overpayment scams. The basic MO (method of operation) in these scams is to trick someone into negotiating a bogus financial instrument and sending the money back to the person behind the scam. The victim is offered a small part of the money for doing this. Of course, they are held liable for all of it when the item is discovered to be fraudulent. Some of the known varieties of the overpayment scams are the lottery, auction, secret shopper, romance and work-at-home (job) scam(s). Please note you can search any of these “scam” terms at http://fraudwar.blogspot.com. Spam e-mail is normally the vehicle in which these scams are presented, however they show up in more traditional print venues (including junk mail) from time to time, also. One thing to bear in mind is that counterfeit checks (cheques) often appear to be legitimate in verification systems. The reason for this is simple, they use legitimate account numbers. Victims have even asked employees at their financial institution of choice if the instrument was legitimate. Sadly, the items are often so good that the person is told that they are real. A financial institution employee verifying an item offers you no guarantee that the item is good. The person passing the instrument is the one who is liable for it. Another tricky thing is that many financial institutions will also give their customers credit for these items in their accounts. This often gives the victim a false sense of security and causes them to send the money back to the scammer before realizing what is going on. Federal rules dictate that banks can only put holds for a specified period of time depending on what type of check it is. The people behind the scams know about this and take advantage of it. Although the money can be sent in a lot of different ways, most scammers prefer the use of Western Union, or MoneyGram wire transfer services. The reason for this is once the money is picked up (often within minutes), there is no recourse for the person who sent it. Besides counterfeit checks, we’ve seen other instruments counterfeited on an industrial scale and sent to unsuspecting people, also. The known items in circulation are have included Postal Money Orders, Travelers Express (MoneyGram) Money Orders, American Express Gift Cheques and Visa Travelers Cheques. The end result of these scams is that the person negotiating the item will be held financially liable. People are also getting arrested in certain circumstances for passing these items, also. The National Consumers League recently set up a site (fakechecks.org), which is a great reference on Internet scams involving checks (complete with visual presentations), here. Please note that if the deal you are being presented is too good to be true, or you are being asked to wire money it probably isn’t worth going to the effort of trying to verify the item. Also note that these scams have become so sophisticated that there is no guarantee that any amount of verification can guarantee the item is legitimate! 1 user commented in " Are Internet Check Scam Artists staging a December Surge? " I have received at least 4 to 5 checks in the thousands dollars.These SCAMMER wanted me to go and cash these checks plus, send around 75 to 80 % back to there companies. I still have these checks somewhere in my house. I would love to report and help catch these (SSoBITCHERS).This could have cause me jail time and more moneies if, I could have cash these false money gram checks. I need and address some I can at least make the proper chioce to report these frauds.